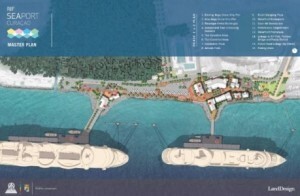 WILLEMSTAD - Funding for the Second Mega Pier was sealed yesterday by the concerned parties with their signature under the documents. Previously the General Pension Fund (APC) already indicated that they will invest 60 million guilders in this project, which will cost a total of 75 million guilders. The current pier is also included in the project and will be restored. The project will be ready by the end of 2017.